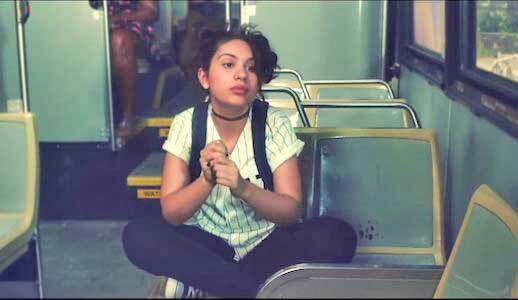 Following the success of her chart topping 2015 hit “Here”, Alessia Cara returned in late 2016 with a new video for her song “Seventeen”. This is the second music video for the song. The first video was released in August of 2015 on her EP Four Pink Walls. That version was a video Cara herself recorded in her hotel room in New Zealand, so this is the first “proper” music video for the track. Cara in chucks and a baseball jersey. The song is an upbeat pop song that features an interpolation of the classic Temptations song “My Girl”. Cara’s “oh’s” on the chorus up the poppy feel of the song, and the loud hitting drums really add to the beat. The lyrics contrast Cara’s younger self when she was supposed to listen to her parents’ advice, but wound up ignoring it. Back then, she was wishing she could be older. However, now she’s 19, and she wishes she could go back two years and follow their advice. It’s a very well written premise that everyone has related to at some point in their life, and Cara’s incredible voice shines through here, bringing that message to life. The video starts out with a young Alessia on a bus with whom we can assume is her dad. It then transitions to a teenage Alessia sitting on the bus alone in a baseball jersey, jeans, and black chucks. She’s then shown to be sitting with a friend, and it’s at this point that she gets up and dances around the bus. We get a great look at her chucks here. The video continues with showing Alessia in different stages of her future life. She eventually has a baby and we get to see that baby become a young teen himself. 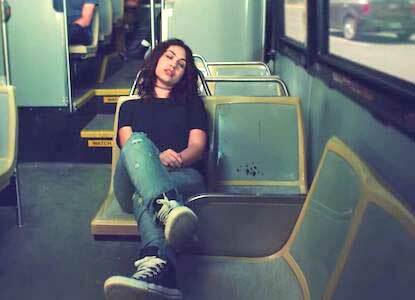 Alessia is then shown at an elderly age as the song starts to come to a close, with the video ending on current Alessia, back wearing her chucks. It’s a cool video, both very fitting for Cara as an artist and the song, as the transitions work well to highlight the lyrics. What it means to be seventeen. Get a new pair of chucks for your music video by clicking on the links below.